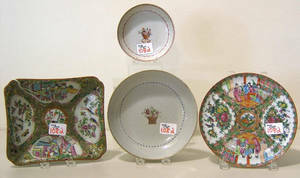 Four pcs. 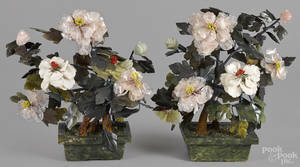 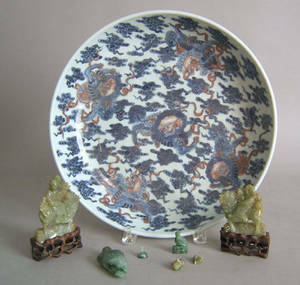 of Chinese carved jade, together with an export porcelain charger, 13 1/2" dia. 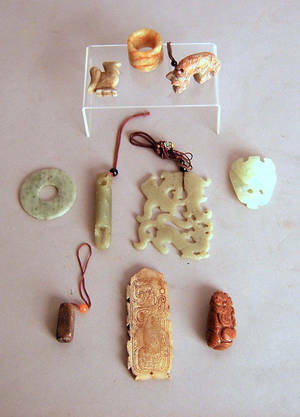 Ten pcs. 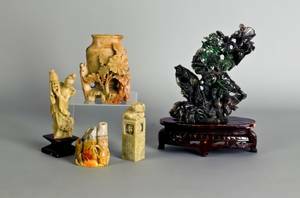 of contemporary carved jade. 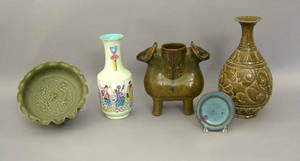 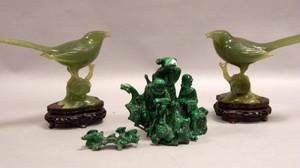 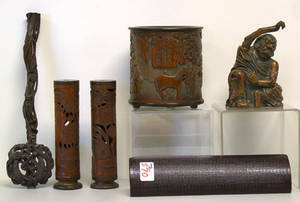 Pair of Chinese Carved Jade Birds and a Chinese Carved Malachite Figural Group. 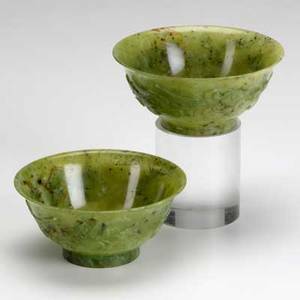 Pair of chinese carved jade bowls; translucent spinach jade with iron inclusions, one with two dragons converging on a bird, the other a dragon chasing a comet, 20th c.; 5" dia. 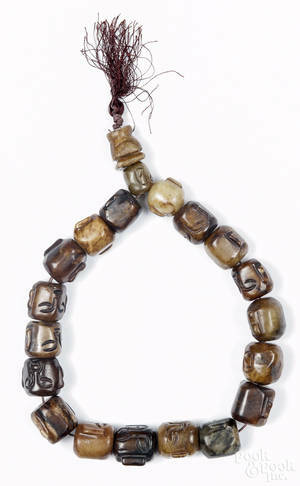 Set of Chinese carved jade beads.